A ringleader of one of Europe's biggest people-smuggling operations has been jailed for eight and a half years. Turkish national Ramazan Zorlu, 43, had pleaded guilty to trafficking. 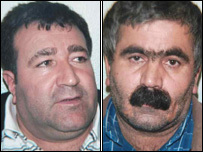 Zorlu was arrested alongside Ali Riza Gun, 47, in raids in London last year. Gun had also pleaded guilty and will be sentenced at a later date. 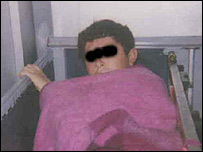 Scotland Yard described the operation, codenamed Bluesky, which involved thousands of people, as its biggest investigation into human smuggling. A judge at Croydon Crown Court said Zorlu should be deported once he finished serving his sentence. The smuggling network run by Zorlu, Gun and another Turkish national, Hassan Eroglu, ran into millions of pounds. Det Ch Supt Maxine de Brunner said the police could not quantify the exact number of people smuggled into the UK before the network was finally smashed. Eroglu, 47, one the main ringleaders running the network along with Zorlu and Gun, was jailed for six years at an earlier hearing. Another eight defendants arrested in connection with the investigation have already admitted offences and some have been jailed. The illegal immigrants brought into the UK were mostly from Turkey, and some from Iraq. Sentencing Zorlu, Judge Nicholas Ainley told the court: "I find it hard to conceive of a more serious case of this type of offence coming before the courts." Prosecutor Richard Whittam QC told the court that people were transported on "planes, trains, lorries and cars" to evade customs and in "deplorable conditions". He said in one case four young children in a van were found gasping for breath by French border police. 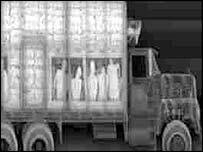 Often a "coffin-like" secret metal compartment welded to the underside of the lorries was used to transport "customers". "There is a significance in trying to put the compartment as low as possible ...to try to avoid police techniques designed to find evidence of breathing and heartbeats," he said. Speaking after the sentencing, Crown Prosecution Service lawyer Hilary Bradfield said the illegal immigrants would often be forced to go without food or water for days. "This included women, at least one of whom was pregnant at the time, and several children." Ms de Brunner said they had identified and arrested more than 400 would-be illegal immigrants as a result of the investigations. "The three network heads saw themselves as untouchable by the law. They used 39 mobile phones to run the organisation and try to avoid detection," she said. The operation involved investigations across 21 European countries and the UK and more than 60 arrests linked to the ring have been made across Europe, police said. Raids were carried out at houses and business premises across London in Enfield, Bexleyheath, Barnet, Haringey, Tower Hamlets, Hackney and Hammersmith. Law enforcement officials from France, Italy, Holland, Belgium and Denmark and Europol all contributed to the investigation. Judge Ainley told Zorlu that he was "clearly at the heart" of the network and that he considered people "more as commodities rather than individuals".